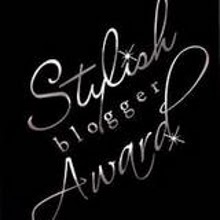 Short 'N Scrappy: Stylish Blogger Award!! and another revamp. I just love receiving blog awards! It makes me feel all warm and fuzzy inside! Blogging is one of my favorite things to do. I love sharing my files, papercraft projects, and sometimes a little dirt about my life with all my crafty blogger friends out there. This award came from Sarah @ Crafting with Sarah. Thank you so much Sarah!! Sarah creates some amazing projects on her blog and shares links to some awesome giveaways!! 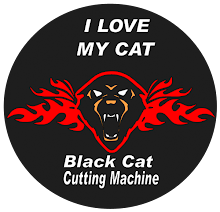 Please pay her a visit and become a follower of hers! Upon receiving this award I must thank the person who gave it to me and link it back to their blog. Share 8 things about myself. Also, pass the award on to 8 other individuals that I have recently discovered and leave them a comment so they can accept this award and pass along the recognition. Thanks so much to Sarah for this award and please stop by her blog!! I would love to pass this award on to the following blogs. I have just recently discovered several of them but I can't wait to see more of their work! 8.Jamie@ Glitter, Stamps and Paper, Oh my! 2. I have a 9 year old daughter and a 1 year old son. (They too check my coffee supply from time to time). I am blessed with these two!! They are comedians and I think when god gave me these two, he knew laughter was the quickest way to my heart! 3. My husband is a Marine and we will be moving again late summer. This will be our 4th move in 3 years. I'm tired of traveling. Fortunately he retires in 6 years. 4. My favorite band is Dave Matthews Band. I love all kinds of music but this band has been my fav for YEARS! 5. I am completely addicted to scrapbooking. I spend way too much time and money on it. I make sure that nothing needs to be done before I start cause I can't stop until a project is finished. 6. I DO NOT SNORE!! I don't care what my hubby tells ya. 7. I love any Italian food ever created!! 8. My wrist hurts from typing all this....WHEW...glad I'm done! Thanks for stopping by!! I'll be posting a new freebie tomorrow so stop back by. Thank you, Thank you, Thank you... My very first award! Thank you so much! AWWW! Thank you Patti! This is so sweet of you! Its going to be so much fun working with you..
Coffee and Scrapbooking go hand in hand 1n my world! Patti! This looks awesome! Phenomenal job! Congrats on your Style Award. I wanted to thank you for becoming a follower on my blog. I am now a follower on your blog and can't wait to see your new creations. I just love your blog the colors and style are awesome.